Mish and Patrick have withstood redundancy, career dissatisfaction and the housing market, to settle into the tiny starter home that is their happily ever after. But a letter arrives creating an impossible decision for the couple, one that forces them to confront the legacies of things left unsaid and what it is they really need. 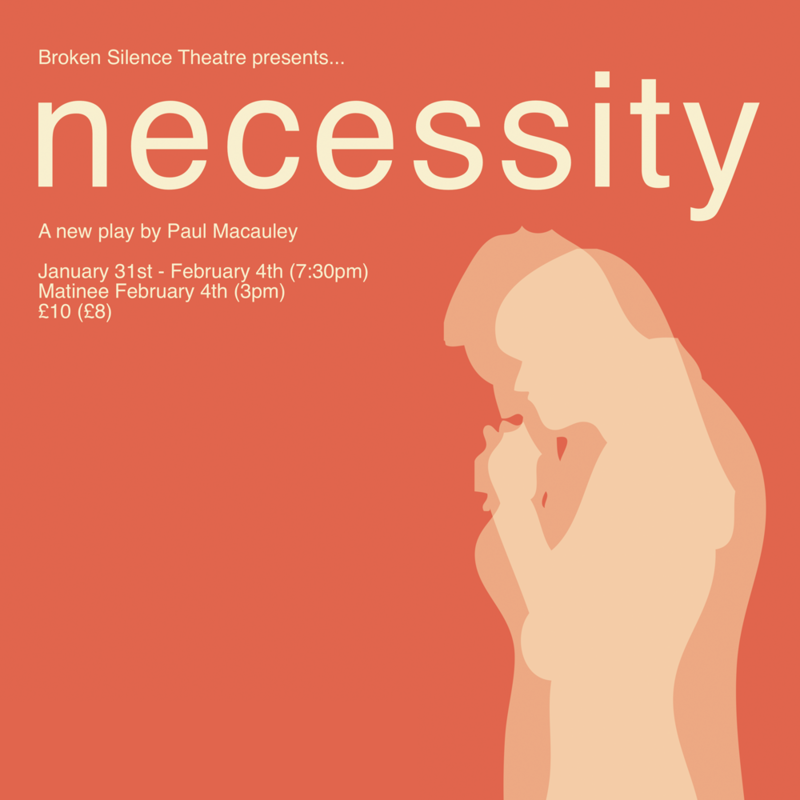 Necessity is a compelling new play about our need to hold onto ideals and what we create in the world when our needs go unmet. It was first performed at Brighton Fringe 2016.